Is Samsung gunning for a head start over the new iPhone? The Samsung Galaxy Note 9 release date could be as early as July 2018. That's because Samsung has already started testing the firmware (the underlying software that manages the phone's hardware) for the new Note, which replaces the current Note 8. According to Sammobile, who broke the news, this software testing process is taking place two weeks earlier in the year than it did for the Note 8 last year, which potentially brings the release date forward. 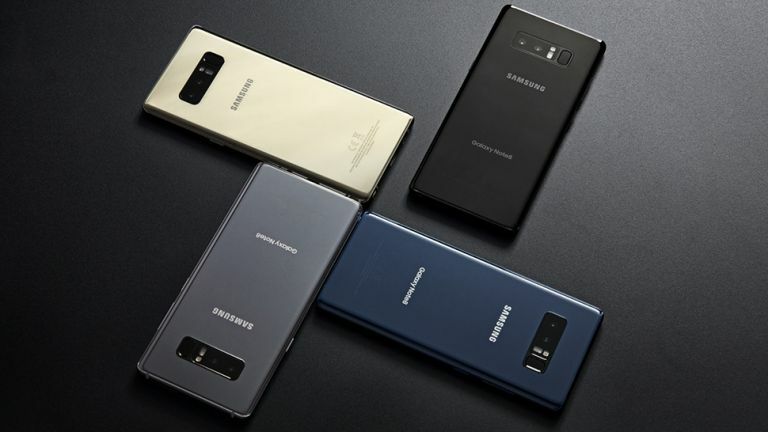 The Note 7 and Note 8 were both released in late August – 19 August 2016 and 23 August 2017 respectively – and so the general thinking has been that the Note 9 will be released in the same month. But if the firmware is already being tested, that suggests that the Note 9 may be closer to finished than we previously thought, and that potentially brings the release date forward to July 2018. But why might Samsung want to launch the Note 9 before August? One possibility is that the firm wants to get a bigger head start than usual on the next-generation iPhone, which would normally be announced in mid-September. Of course, at this stage we have no official confirmation of the Note 9 release date and we won't get that for a few months yet. But expect plenty of teases about the Note 9's new capabilities to come from Samsung in the meantime. Until then, here's everything we know about the Note 9 so far, including the current rumoured status of that in-screen fingerprint reader.